Training has been going well over the past few weeks with the mileage coming up and the runs starting to feel a bit more comfortable. However knowing that being away on business for a couple of days would hinder my weekly targets didn’t stop me squeezing some running gear into my bag when I headed to Belgium. 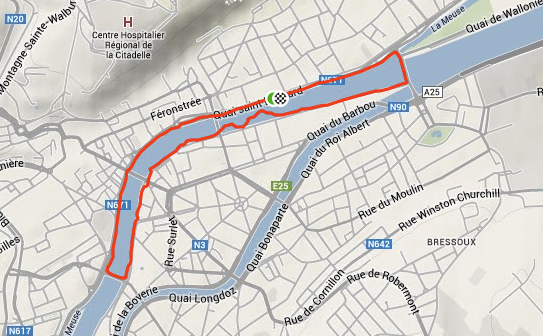 As luck would have it I managed to get out for a run from my hotel door along the river, and did a fairly (self) respectable 5km in the strangely pretty city of Liege. Previous Farm Recovery Run No 2.